The great-power system has been in constant change since the end of the Cold War. The US became the hegemonic power, and under its shelter, the European Union was able to transform into a European-wide political body. 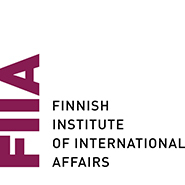 Soon, a group of leading regional powers started to question the universalist aspirations of the Western-led international order. Two members of this club in particular were not satisfied with the role of a regional hegemon and had more global ambitions. China has already become the largest trading nation globally, and Chinese foreign policy has assumed an assertive tone. China has both the potential to challenge US hegemony, as well as the political will to use it. Russia’s project to achieve a global great-power status, on the other hand, is inspired by its historical identity and its alleged humiliation by the West after the collapse of the Soviet Union. Russia longs for recognition of its great-power status in particular from the US. This report focuses on relations between China and Russia on the one hand and the US and Russia on the other. 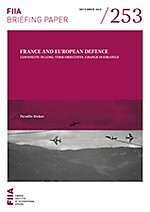 It analyses the current developments and future trends in these relationships, as well as their implications for the EU.